For 2003-2007 Saturn Ion. 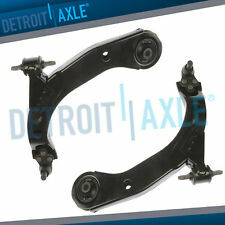 For 2005-2010 Chevrolet Cobalt. ( Bushings and Ball Joints are included ). For 2008-2010 Chevrolet HHR SS 4Cyl 2.0L 122CID. For 2009 Chevrolet HHR SS Panel 4Cyl 2.0L 122CID. 11.8 " Center to Center Bar Links - 10-YEAR WARRANTY! Trending at $107.46eBay determines this price through a machine learned model of the product's sale prices within the last 90 days. 2009 Pontiac G5 FE1 SUSPENSION FRONT RIGHT LOWER. 2008 Pontiac G5 FE1 SUSPENSION FRONT RIGHT LOWER. 2007 Pontiac G5 FE1 SUSPENSION FRONT RIGHT LOWER. 2007 Saturn Ion FE1 SUSPENSION FRONT RIGHT LOWER. 2006 Saturn Ion FE1 SUSPENSION FRONT RIGHT LOWER. 1 x TVA-K80567 Front Lower Ball Joint. 2010 Chevrolet Cobalt FE5 PERFORMANCE AND HANDLING SUSPENSION-FE3 SPORT SUSPENSION FRONT LOWER. 2010 Pontiac G5 FE5 PERFORMANCE AND HANDLING SUSPENSION-FE3 SPORT SUSPENSION FRONT LOWER. 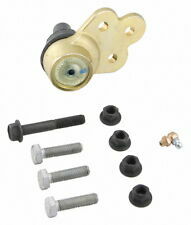 "AC Delco Ball Joint --. Series : AC Delco Professional. Engineered with full ball stud and sturdy, two-piece cylindrical wedge bearing. Therefore all implied warranties that may apply to your part are limited to the duration of this written warranty. "TRW Ball Joint --. TRW BALL JOINT. Therefore all implied warranties that may apply to your part are limited to the duration of this written warranty. Each warranty gives you specific rights, and you may have other rights which vary from state to state. For 2007-2009 Pontiac G5 Base 4Cyl 2.2L 134CID. For 2007-2008 Pontiac G5 GT 4Cyl 2.4L 145CID. For 2007-2008 Pontiac G5 GT 4Cyl 2.4L 146CID. For 2007-2009 Pontiac G5 SE 4Cyl 2.2L 134CID. For 2005-2010 Chevrolet Cobalt. 2 Ball Joints. MOOG PROBLEM SOLVER BALL JOINT SET. "Moog Ball Joint --. Notes : Kit components - 2 Ball Joints; Includes hardware. Engineered with larger housing for tighter ball joint fit. Quantity sold : Set of 2. Series : AC Delco Professional. Condition : New. Therefore all implied warranties that may apply to your part are limited to the duration of this written warranty. Each warranty gives you specific rights, and you may have other rights which vary from state to state. Trending at $71.42eBay determines this price through a machine learned model of the product's sale prices within the last 90 days.